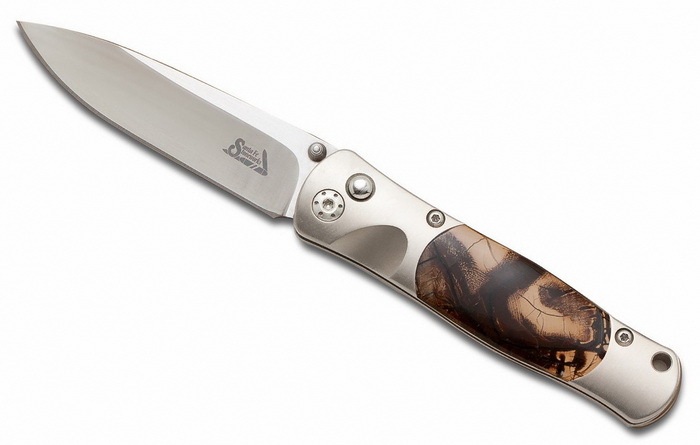 The Tesoro Button Lock knife features a 2.75" VG-10 Steel blade in a Titanium handle, inlaid with Woolly Mammoth Tusk on both sides and includes a pocket clip. This knife weighs in at only 2.3 oz.!. Comes in a wood display box.